Your post got me starting to read up a little about Ketchikan - I see the largest collections of standing totem poles are in the area - is that right? That would make some fascinating photos. 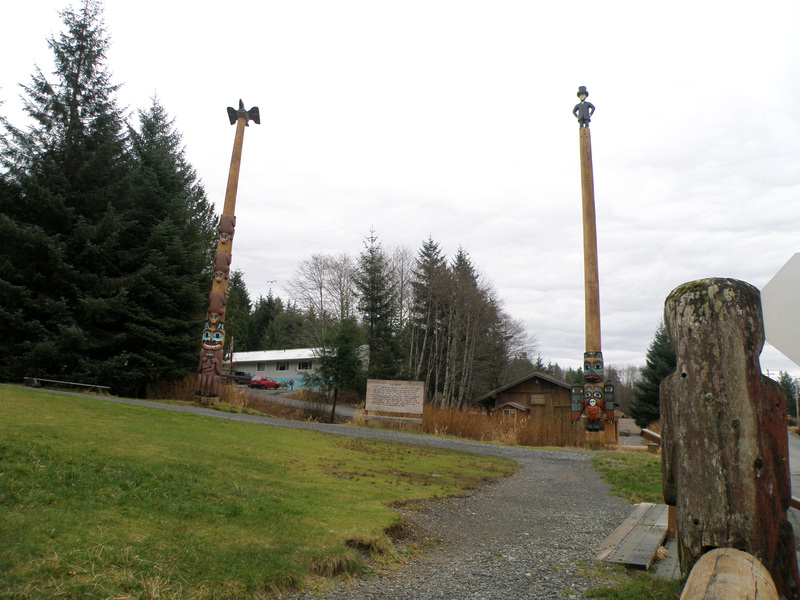 Because it was 40 degrees outside (not freezing), not stormy, and not yet dark; I rode my bicycle out to Saxman and took a few photos of the totem poles, just for Bunc. All these photos were taken yesterday (December 2nd, 2009). So here they are, click an image to view full. 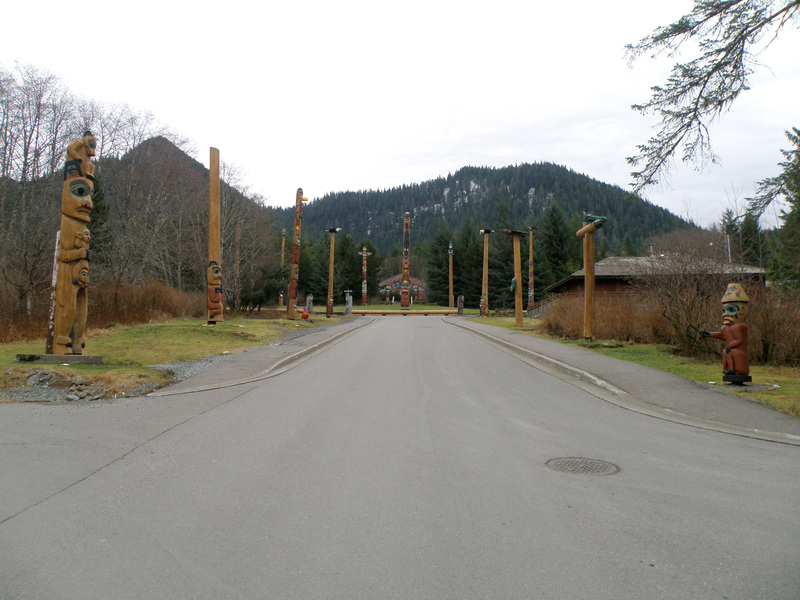 From here you can see most of the totem poles. 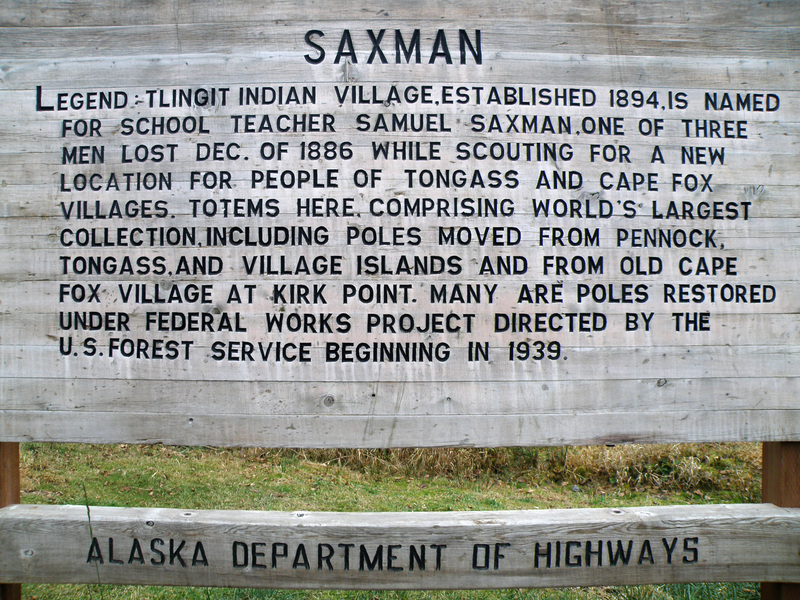 Legend Tlingit Indian village, established 1894, is named for school teacher Samuel Saxman. 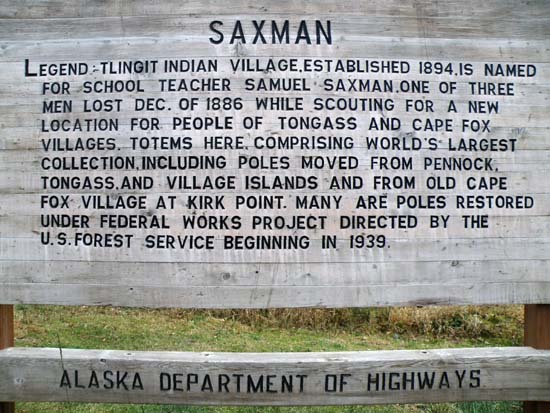 One of three men lost Dec. of 1886 while scouting for a new location for people of Tongass and Cape Fox villages. Totems here, comprising world's largest collection, including poles moved from Pennock, Tongass, and village islands and from old Cape Fox village at Kirk Point. 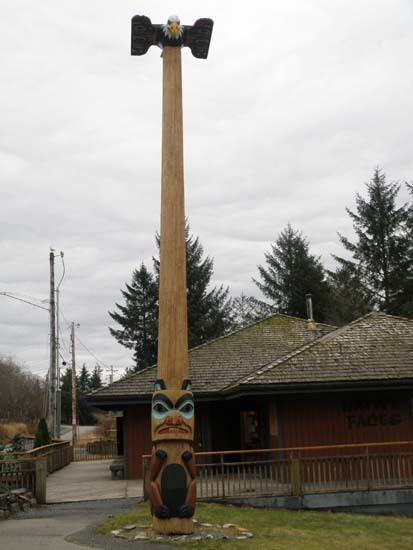 Many are poles restored under federal works project directed by the U.S. forest service beginning in 1939. Totem poles around the sign. I bet you didn't know Abraham Lincoln was at the top of a Tlingit totem pole. I don't know the proper names of any of these, I'm calling this one a China man. This one I know is an eagle on the top and a beaver on the bottom. A tribal Tlingit meeting hall. That's all so pretty... Because it's meant for tourists. 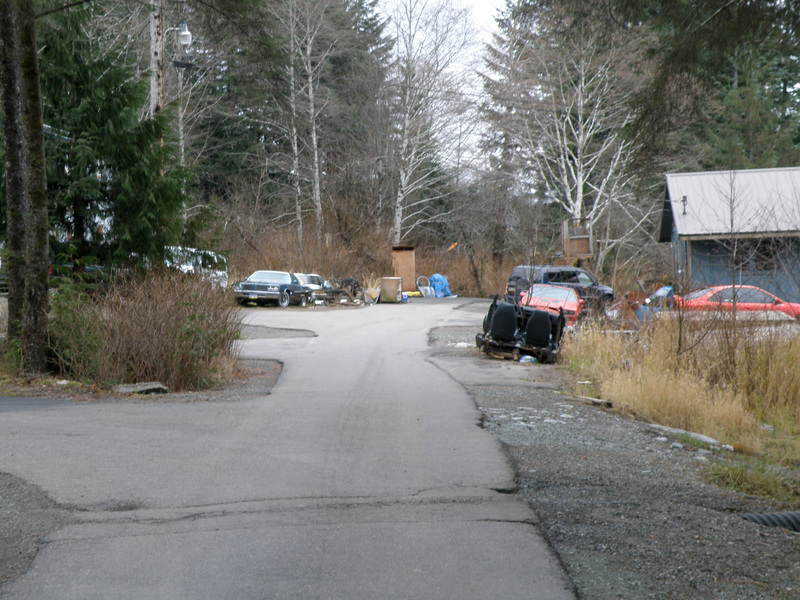 However, look down any side road in Saxman and you'll see what it's really like. I don't mean to be racist, but it takes only a simple observation to notice a lack of home maintenance and clutter control on the part of your average Alaskan Native. EDIT: Fixed spelling of the word "racist". Thanks Vid. "I don't mean to be raciest"
Raciest... is that, like, most racy? Ho Marf ma man - thanks for the photos. 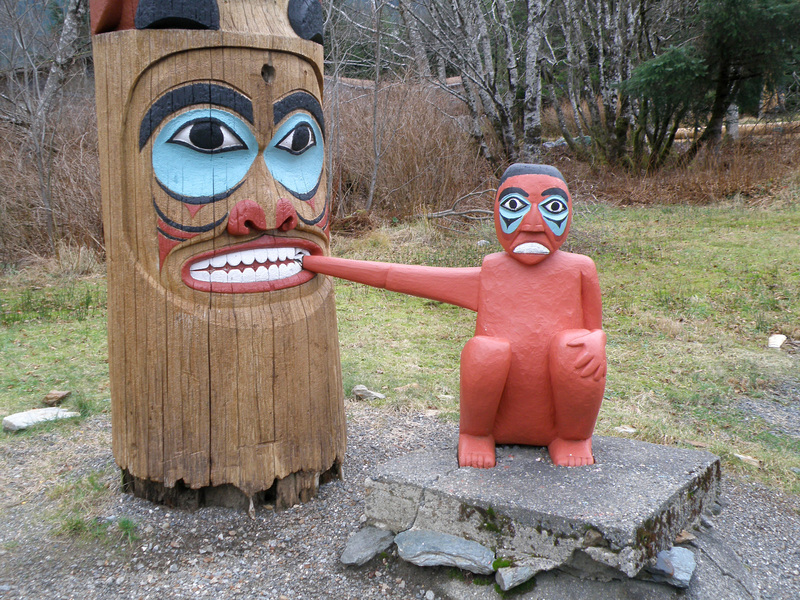 The totem poles look interesting. I assume different tribes probably had different standard designs? 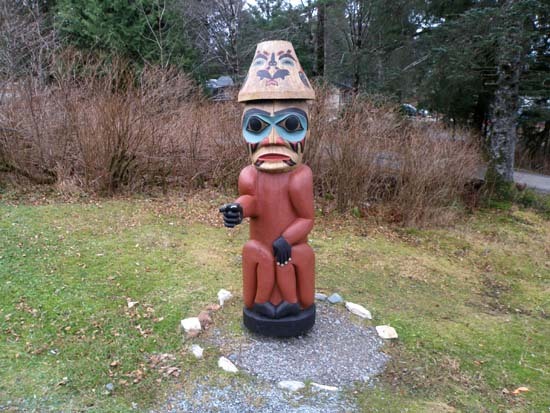 A lot of them looked fairly unweathered - is it mostly Totem poles of recent age that they show or do they also have older items? I like the eagle beaver ones - I always prefer the beaver at the bottom personally. @ Bunc: I think different tribes had different animals they depicted on their totems, but they're all pretty much in the same style. 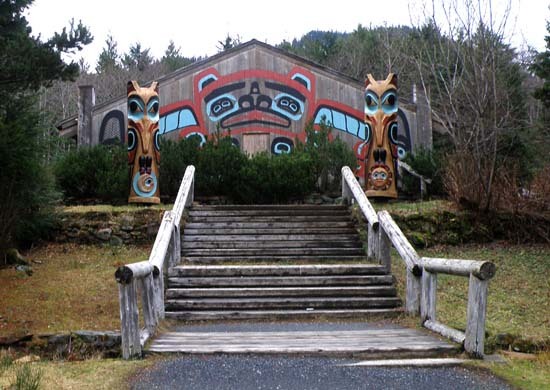 This tribe is Tlingit tribe, pronounced "Klinket". There were a few that were really old looking and rotten almost beyond recognition. But I think for the most part they're pretty well maintained. 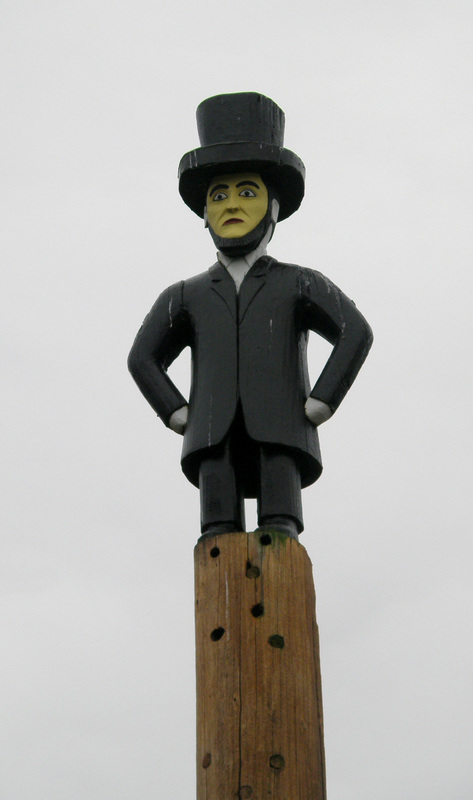 They keep a clear coating on them to protect from the elements, re-paint them when needed, that sort of thing. And no, they're not all old ones anyway. This does bring back memories of grade school, where an elder would come in once a year and teach us one of their chants... "Wah ha ha haa, eeeah, ha haa..." That's all I really remember of it. They'd also have us do little arts and crafts in their style of art.